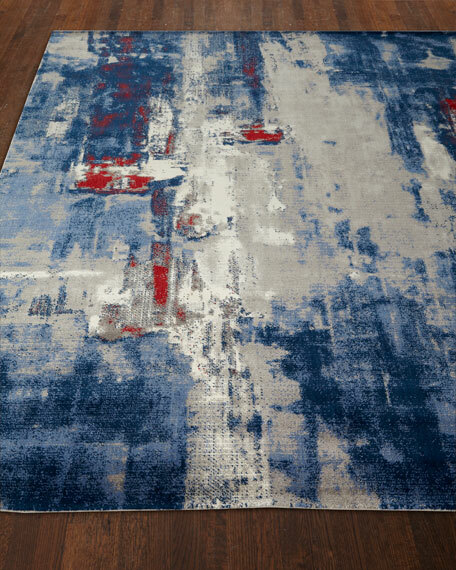 A special luster wash imbues each each rug with a subtle and uniquely elegant patina. 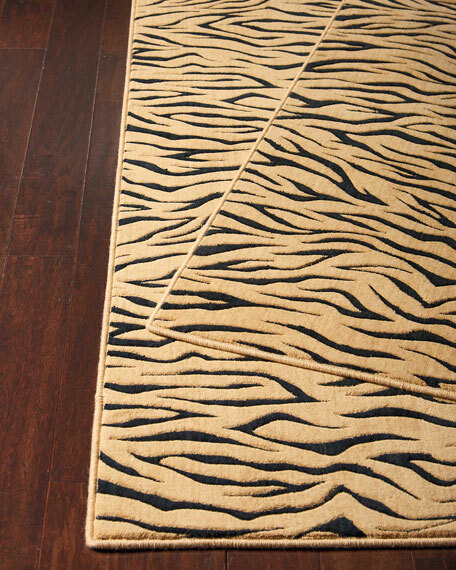 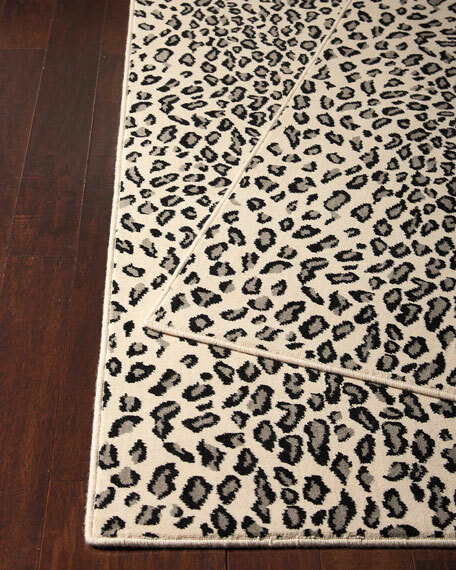 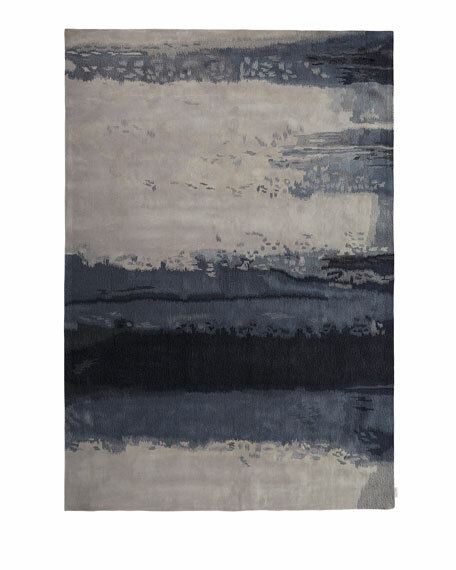 Abeer Dapple Rug, 7'9" x 9'9"
An abstract tiger print exudes a sleek sensuality when revealed in fascinating shades of black and beige. 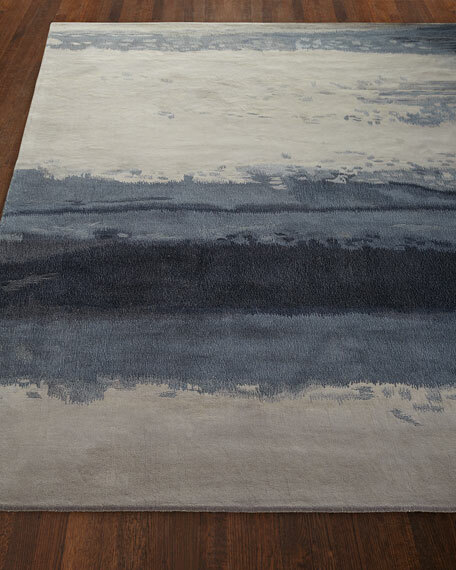 With its finely hand-carved details and transfixing texture, this contemporary rug elevates animal magnetism to an art form. 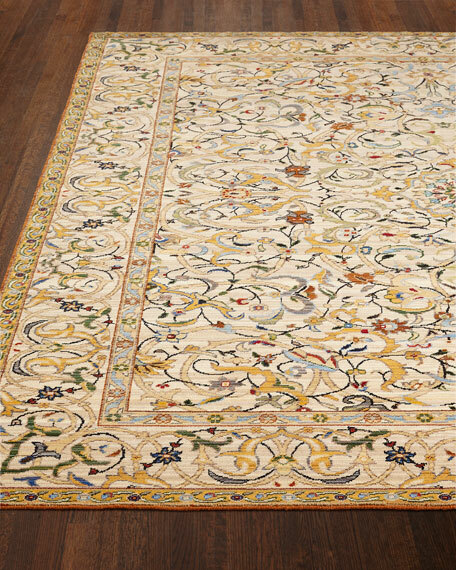 Cosmopolitan Rug, 7'9" x 9'9"
Recreation of a rug created by Charles Voysey, eminent architect and home furnishings designer active in the late 19th and early 20th centuries.Power loomed of wool/nylon blend.Size is approximate.Imported.